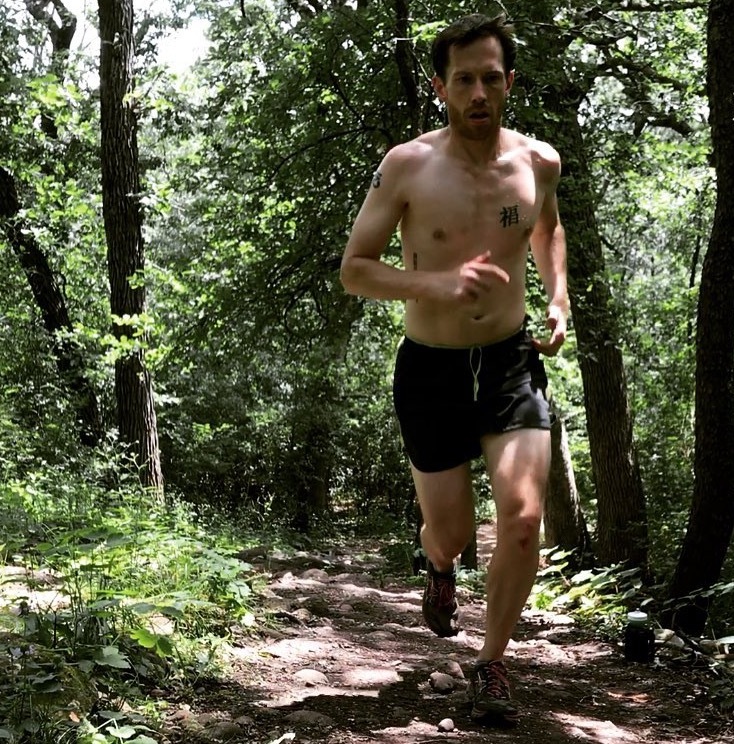 When Brian Frain first began running it was to shape up and lose a few pounds. But like many of us that started running for the same reason, he was quickly hooked. After a few years of hard work and careful training, he now has a BQ time to show for his efforts. Read on to learn how this local runner went from being unable to run a single mile to earning a coveted BQ time! 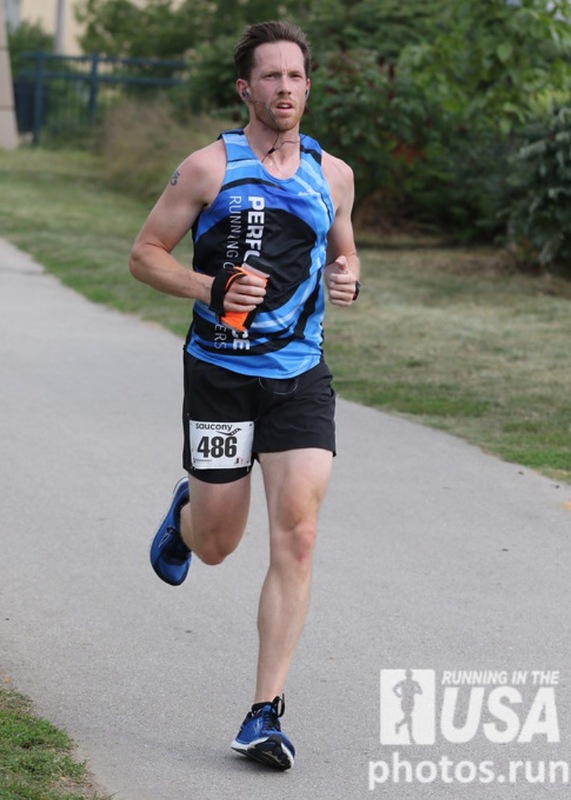 Favorite gear: Clothes from Lululemon, shoes from Altra, and Swiftwick socks! Pre-race routine: Mostly panic and stress! I started running to lose those infamous “last 10 pounds”. I was out there in basketball shorts and a cotton T shirt, and I couldn’t do a single mile without stopping and gasping for air. I signed up for the Brewers Sausage Race 5k as an excuse to run around the outfield at Miller Park, and was hooked after that. How does running improve your outlook? What keeps you motivated to run? To be honest, running doesn’t always improve my outlook. I’ve been trying for a BQ for nearly three years. There have been more than 10 marathons that I trained for and didn’t get the goal. That’s a hard thing to experience that many times! But on the whole, I love the structure and discipline that comes with training for a race. That structure helps me stayed focused, both on running and outside of running. My motivation to run was always to keep training for the BQ. But now that I’ve achieved it, the motivation to keep running is simply that I love it. I love feeling tired and sweaty and like I can’t go another step, because inevitably that next step always happens. And when it happens, I learn that there is unlimited potential inside me (and all of us). Who do you look up to in running? Do you have any role models in the sport? I look up to Annie Weiss, my fiancé. One of the reasons it took me so many tries to get my BQ is because I lack the ability to push myself into that “next level” of pain. When things really hurt at mile 20, you can grind it out or back off, and I’ve always had difficulty grinding it out. Annie is able to push herself harder the more things hurt. When the going gets tough, she gets faster because she wants the race over. That’s something I don’t have in me! I also have a great admiration for Mike Wardian, who has completed races all around the globe, including the World Marathon Challenge (7 marathons on 7 continents in 7 days)! Congrats on getting that BQ at your recent marathon! Let’s talk training for a bit – how did you focus your training to get you to your goal? My first marathon was the finale of the Dopey Challenge in 2015. At that point I was aware of the Boston Marathon, but I wasn’t aware that the requirements to get in were so difficult. Once I learned more about the standards, I was hooked. My training became focused over the past six months, when I started doing more mileage per week (averaging about 60 per week), but most of them were at a very slow pace. I’d have 4 days of long and slow, and then 2 days mixed in of speed work. The longest run I did in the past six months was about 18 miles in preparation for my marathon. 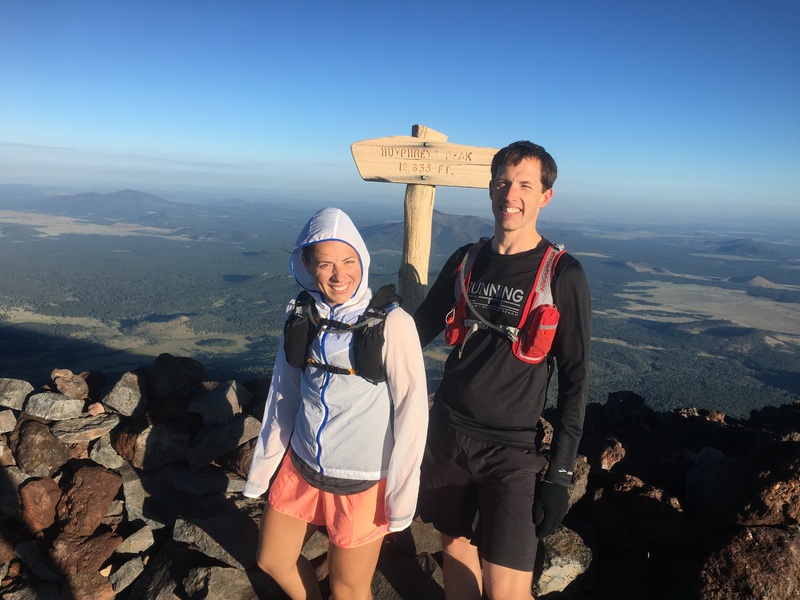 After running Boston in 2018, I would like to focus more on the ultra distances. I completed my first 50 mile race earlier this year, and I’m going to do more of those. I also would like to do the Dopey Challenge a second time – the first time I did it, I was so concerned about making sure I had enough energy to complete the four races that I didn’t exert a lot of effort in the early races. I’d love to go back and pour my heart into all of them! What race has been the most memorable for you? I’ve had several interesting marathons over the last few years. I did the Rome Marathon which started nearly an hour late and was almost entirely in a downpour. 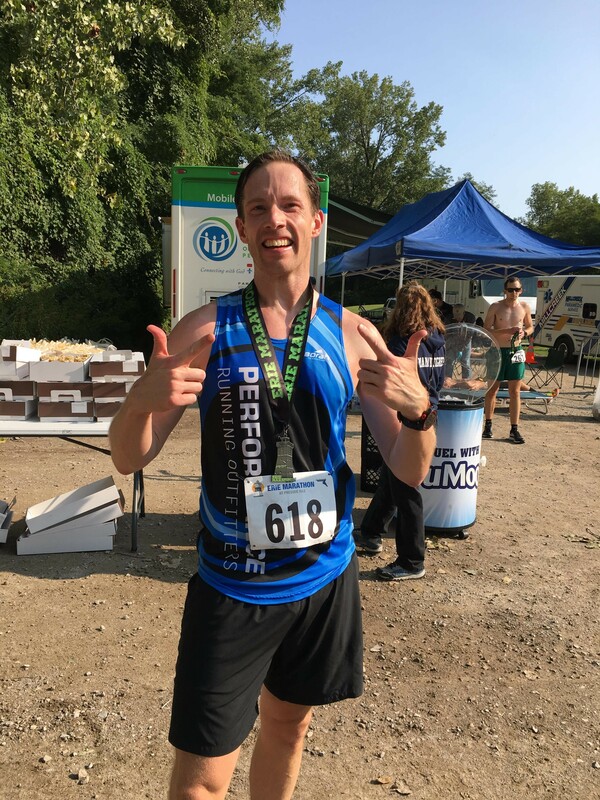 I did a small marathon in Central Illinois that was black flagged due to a severe thunderstorm, and I ran the last 4 miles in ankle deep flash flooding. But the Erie Marathon 2 weeks ago will be the one that I’ll forever cherish. Perfect course, perfect weather, and a 9 minute PR will be the thing that I’ll never forget. Do you have any favorite Milwaukee races? The Milwaukee Lakefront Marathon, without a doubt. I’ve done it the last two years, and both times were great experiences. There is great crowd support, and for me it’s always helpful to be running on a course that I know. Those last few difficult miles of a marathon seem to be a little bit easier when I can visualize exactly how they will look. The community. We are extremely lucky to have such incredible support for both roads and trails. In the trail world, groups like the Lapham Peak Trail Runners are made up of some of the kindest, most gracious people I’ve ever met. The Badgerland Striders have a huge membership and they organize some great events each year. Trae and Jess at Performance Running Outfitters would do anything in their power to help anyone that needed it. Beyond the organizations, there are some incredible individuals who have dedicated huge blocks of their lives to making running an enjoyable experience. Matt Thull at Thunderdome is a world-class coach who is literally in our backyard. There are so many people who care so much about the Milwaukee running community, and all of us have an easier, more enjoyable time on race day because of them. Thanks so much for chatting with us and sharing your story, Brian! This entry was posted in MKE Runners and tagged Brian Frain, MKE Runners, Running in MKE. Bookmark the permalink.